I absolutely love your sign!! thank you for showing us how you did it!! Tammy, this is such a great tutorial I always wanted to know how to do this :) your sign looks great, I will have to add this to my "to do" list. My next project is bolster pillows...I plan on attending the Pillow Palooza linky party next week so I need to get started. Have a great weekend! Love the sign. I always need to be reminded to "Rest in the Lord and wait paitiently". this verse tonight. You know one of those weeks a bit discouraged, but your sign is beautiful. Thanks so much for showing how the letters were transferred. I've been wanting to do something like this for the longest...I love your sign! Beautiful and I love seeing how you did it and that it can be done! Rest in the Lord, a good reminder for me right now. Thank you! I found you at Knick of Time Interiors Party. Come by and visit my place sometime. I'd love to hear from you too! Very cute sign...thanks for sharing the tutorial! I found you through the Knick of Time link party! Love it! Just home from Bible study and this is the perfect fit for what we were studying! The colors are so natural...I, also, found you through the Knick of Time link party!!! Love it! What a nice addition to your bedroom. Very easy transfer. Thank you for the step by step instructions! I pinned this from Pinterest......just had to say thank you for the great tutorial!!!!! Love it. Will do it! So cool! I didn't know Sharpie had paint pens! Learn something new everyday! Great tut! So easy to follow your directions, thank you! This is really cool! I definitely need to try this! We have some old fence wood in our garage, just waiting for a project such as this, so I now know what I'm going to do with it. Thank you! Great Tutorial. I found you on Pinterest. 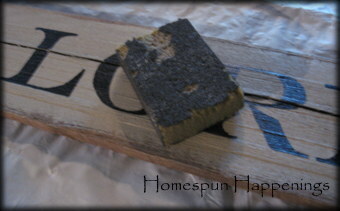 Would love for you to share at the Creative Corner Hop. Your newest GFC follower. I FOUND YOU ON pINTEREST!!! YOU ARE VERY TALENTED AND THIS WILL COME IN HANDY tHANK YOU FOR SHARING!!! Wonderful work! Where did you find the Sharpie Paint Pen? I didn't know they made those! Thanks SO much for the very detailed tutorial!! I have been wanting to make a sign of my own but wasn't sure how to do the lettering without buying expensive vinyl letters. Does the same charcoal-trace-rub off technique work on canvas? Saw this sign on pinterest. What a great job. I never would have thought to use a Sharpie. I saw this on Time Warp Wife's Friday Five. This is a fantastic idea and I cannot wait to make my own sign!! Thanks for posting! I would love it if you stopped by my blog as well. I'm going to link to this page from my FB page. Too great of an idea NOT to share! What a great idea and even looks pretty easy to do!!! I didn't know Sharpie had a Paint marker. I see this happening in my future - thanks for the great tutorial. Oh, just lovely! I came over from Time Warp Wife's Friday Five, as well. I've been wanting to make some signs, and you just showed me how. I've pinned it, too! Yes i agree with everyone. This is so nice. What a good reminder as well. 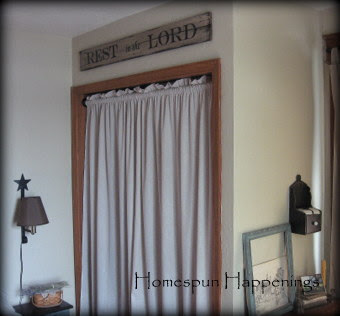 I have been waiting to find a way to put up scripture above the bedrooms doors and this would be perfect and I can get my teens involved by having them do there own. Thank you so much this is a answered prauer. I hope to try this! Nice!! I also make signs, people can get the text they want and then I paint it for them. I relly love this! I also do Canvas. Lyrics is popular at the moment. I am happy as long as people want to buy my homemade stuff =). Do you think this would work on a canvas as well? I am looking at make some christmas gifts and love this idea and one other I plan on was using a canvas. Thank you for posting!! Tammy this is AWESOME!!! 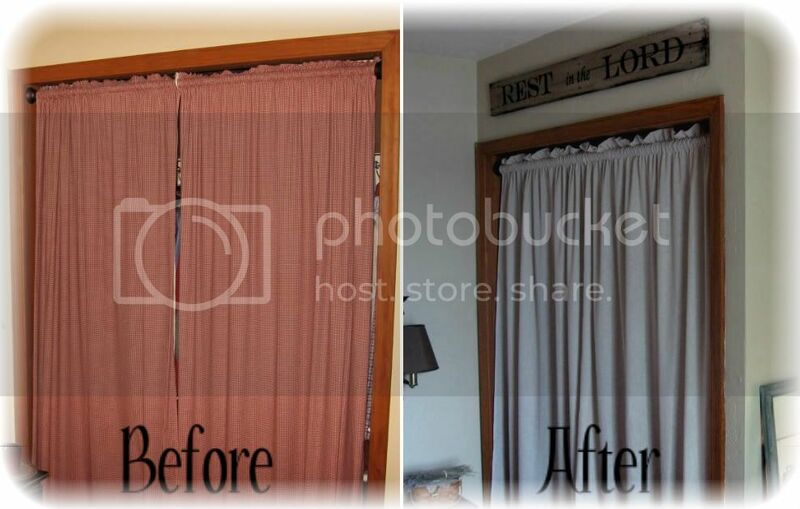 I am so copying this for my new house with my favortie verse. To Pray is to let GO and LET God take over(LET GO AND LET GOD). Thanks for the great idea. Saw this on Pinterest and always wanted to know how to transfer type to other objects. Thanks for sharing! I love your sign! 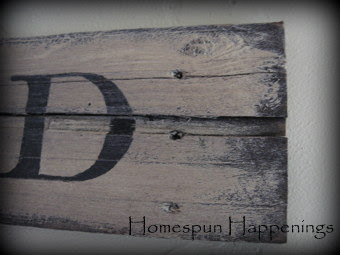 It's beautifully rustic! Thank you so very much for taking the time to show us how you did this! It's so very helpful..so excited to do it! I saw you on Pinterest. I'm a worrier too, so it's a great message to take to heart. Thanks. Thank you for the very clear instructions. I am wondering if you used the oil paint Sharpie or the water based. I have no idea if one would work better than the other. I found your great project on Pinterest. I love this idea! There's a cute sign on pinterest I want to make for my nephew and I was having a hard time trying to decide how to do the letters. This is perfect! Thank you. I found your blog on Pinterest. I am not the craftiest person, but I think I can do this one! I would love to make signs for my kid's rooms and for gifts. I am sure it is a silly question...but where do you get ahold of a pallet? I see all of these amazing projects with pallet wood and wood wine cartons and I have no idea how to find them! 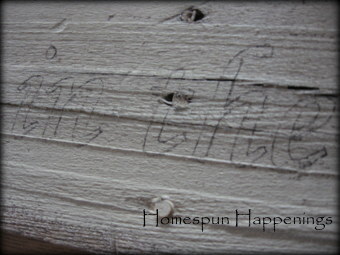 My daughter learned your letter transfer method from her 4th grade teached who named it the "Pencil Poop" method..LOL! Well that's just brilliant! And I love the verse. I wonder if there is a way to transfer the letters on to something painted with a darker color than that stone color? I want to make a sign but it needs to be brown with cream/beige lettering. Short of cutting the letters out of vinyl which I am loath to do, do you think this transfer method would work if you used a light pencil? Love your charcoal idea! 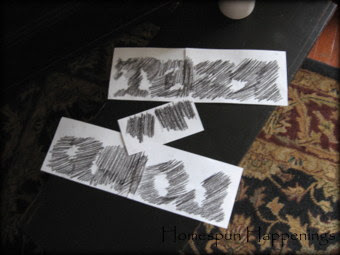 I went out and bought charcoal pieces @ Joanns a few weeks ago...you can print out letters in "outline" fonts on an inkjet printer instead of using all that ink for full colored lettering. 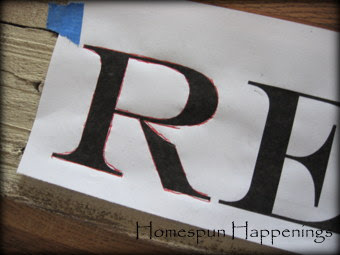 For darker wood just place light colored transfer paper under your printed out lettering. They come in multicolored packs-white, yellow, blue, black and red (got mine @ Michaels). I love the quote that you chose...Just beautiful! I hope to make some signs soon! Hi, Viewing this on election night(something else besides that! )and your sign helped us all here. Thank you, beautiful job and also edifying! "I no longer worry about things. I now exchange the word "worry" with "wonder". Very pleased to have found this site,well done! Will try it 'someday' Enjoyed your encouraging thoughts and ideas! Thanks! I am dying to know what font this is, though! I have my board painted and my letting ready to be transferred. I just realized that you used a Sharpie "Paint" pen. I am sitting here with a bunch of regular Sharpie markers and I am wondering if it's going to work as well. I guess I'll find out soon! Thanks for sharing your project! This is so brilliant! I have been pondering how to make signs for our home, but couldn't get past the lousy results I knew I'd get with painting. However...coloring in between the lines? That I can do! I love the "rest in the Lord" sign you made! Can I steal it? :) I'm also going to make a series of signs with the "Christmas" names of Jesus...Wonderful Counselor, Prince of Peace, etc. Love the "Rest in the Lord" sign you made. I think I'm going to start with a series of Christmas signs of the names of Jesus in Isaiah...Wonderful Counselor, etc. thanks for sharing! I can' t wait to make a sign now! I love this. Everything about it. Pinned! I really like the sign you made, "REST in the LORD". Just a few words. Yet it says a lot. Very calming. I downloaded the fonts and I think the font you used for "REST" & "LORD", was Baskerville Old Face. Thank you for sharing your talent! Thank you for sharing how to make a sign. . Love that verse too !! Saw this on Pinterest! Nice, why not use carbon paper? Thank you! I love this and can't wait to give it a try. I think it would make a great gift. this looks GREAT and much less expensive than the ones you see in stores! Thanks so much for sharing ~ And the verse is fantastic, too!! Thank you for sharing your tips. 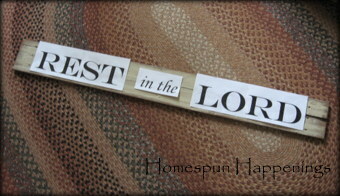 A great way to to display your favorite verse. Wow, thank you for the tutorial, love it, and am getting several ideas from your blog. May I borrow your verse? thanks for sharing! so wonderfully simple and hands on! yes ive had that issue when hanging with levels.. eventually realised its simpler to just eyeball it. I found you on Pinterest! I love the idea of the signs and you made very clear instructions! I am refurbishing a house and I am definitely making this one of my projects to put in the house! Thank you for posting! Great post, I really like that homemade sign. The finished piece looked really well done, way to go. I found you on Pinterest and I just wanted to say thank you for this tutorial. I used it to make a small sign and it couldn't have been easier! Thanks, again!! That was fantastic and very helpful! Thank you so much!!! That was fantastic and it will be so helpful! Thank you so much! !! I love your Sharpie sign. I want to try one. What a great mini-redo. And I didn't know you could get Sharpies with PAINT in them, I'm in love! I'd love for you to share this at my link party. 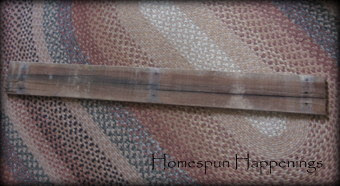 My very first one is this Friday, Jan 31st, at FlyingC-DIY.com. Hope to see you there! I love your sign and the verse. 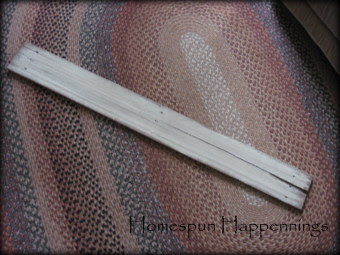 I can't wait to try this as I have lots of pallet boards. Thanks for sharing :). I just found your site as I'm looking for ideas for my daughter's wedding who will be married next Oct.down in GA...venue is a barn .."shabby/chic". I'd like to help her up here in Indiana by getting started on some signage. ;) I also read your "about me" and how interesting that I am also a Tammy and love the Lord, as well! Many Blessings! PS I'm up way too late pinning wedding ideas!! Great idea and beautiful , inspirational sign !! Love it !! 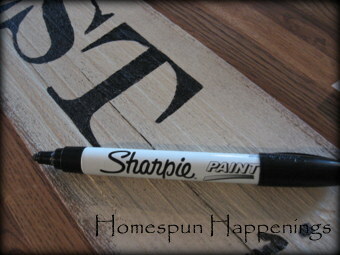 When I sanded mine the sharpie paint left a shadowing on my board. How did you get yours not to do that? I love the results, and give thanks for the verse! Thanks for explaining the process!